What a role model your mom is! Happy __ Birthday to her! Thanks – I’ll pass it along. Congratulations on your mother’s ‘turning’! She’d prefer it if we ignored her birthday entirely, I think. Lovely tribute to your mom here. You are right . . . the age on our driver’s license isn’t the age in our hearts. Thus, perhaps we should hide our driver’s license from others. Plus, my photo is SO bad on mine I don’t want anyone to see it anyway. 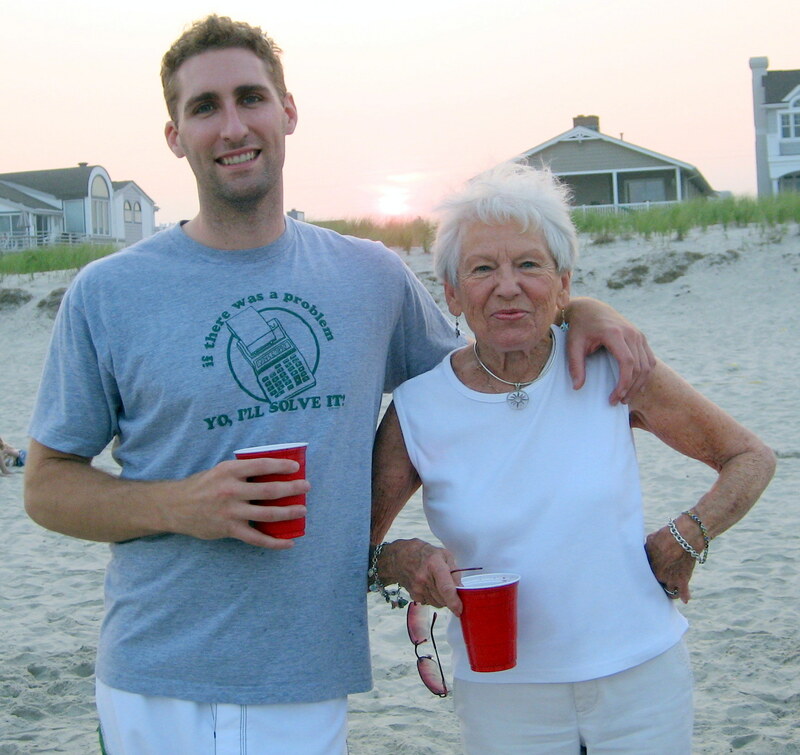 My mom had me when she was 37, but I always had trouble keeping up with her, until her last 5-10 years. She was always in the garden, cutting the grass, doing the plumbing, chasing and jumping over fences to catch my brother, sewing, cooking, cleaning…and loving us. 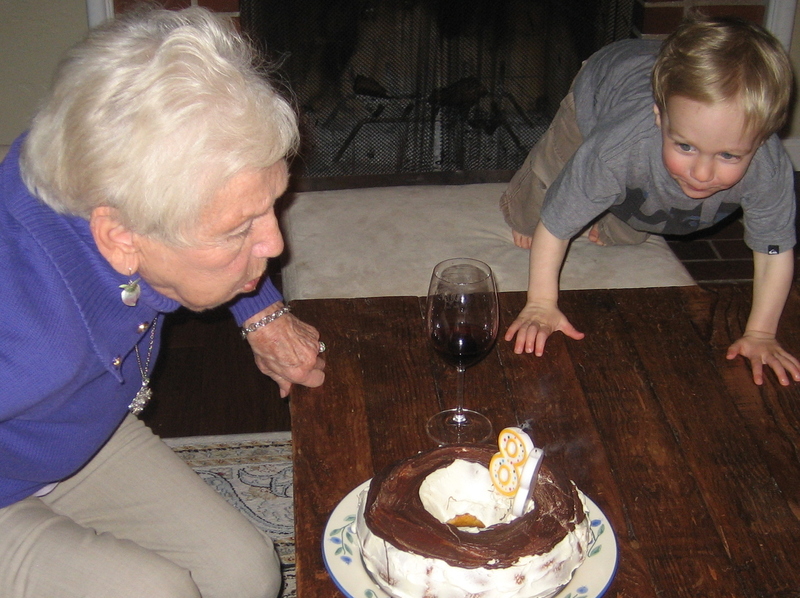 Funny – when I realized my Mom was old…I’m that age now. And it’s not so old! Yup, it’s just a number. I’m still as childish as I want to be, silly when it suits me, and ridiculous when I feel like it. Oh! the joy of being older and independent! Your Mom is a Force of Nature! An amazing person…it was so good to see her – and you – a year ago in OC! Please give her our birthday love or just say “hi” if the b word is a no no! Clever, funny and a beautiful tribute to a woman you obviously adore, respect and love! Thanks for sharing! I can never remember my own age, so I’m known to make something up. lol Unfortunately, I always seem to add a year or two. Seriously, hoping ‘for her age’ gets out of the vocabulary as we stop stereotyping what an ‘age’ is, and just take the person at face value, wherever they are in their life’s journey. Wonderful. My Mum is also beautiful and looks/acts at least 20 years younger than she ‘is’. Age is just a number! 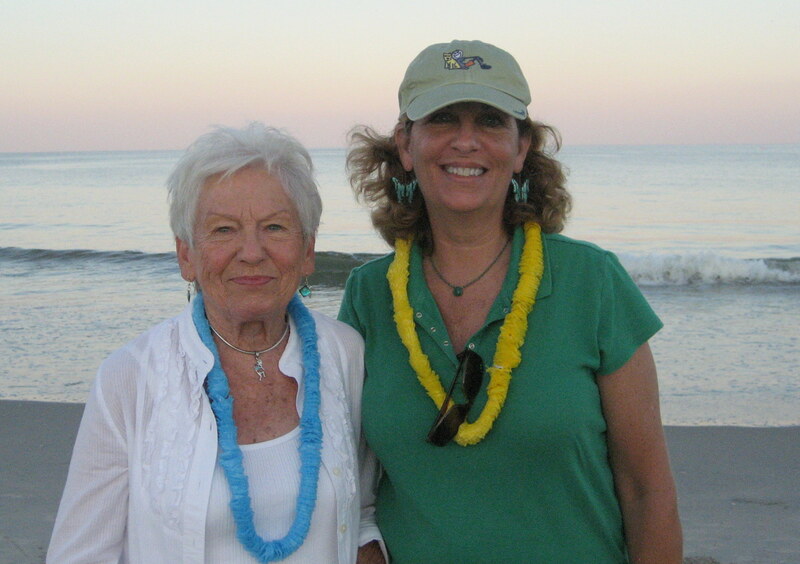 Let’s hope we have our mom’s genes…. You sneaked a peek at her age? Bad daughter! Bad! For years my mom has told me she is 39. And I believe her. Exactly how she got three years younger that I is anyone’s guess. Better now than later – I figure, confuse them in the beginning, then they’ll never know when it’s the end. (I just made that up, but it sounds profound). !! You and your mom look so good together! Actually my hubby just looked over this shoulder and read parts of your blog and asked questions about who you are. His mom just turned 81 yesterday. I can say that because she won’t be visiting this blog, I can almost 99.3% guarantee it. Almost all our parents are around the 80 year mark, give or take two years. Great story and pics. Hi to your hubby! My mom DOES read my blog, so I have to behave or I’m in trouble!!! Love this. 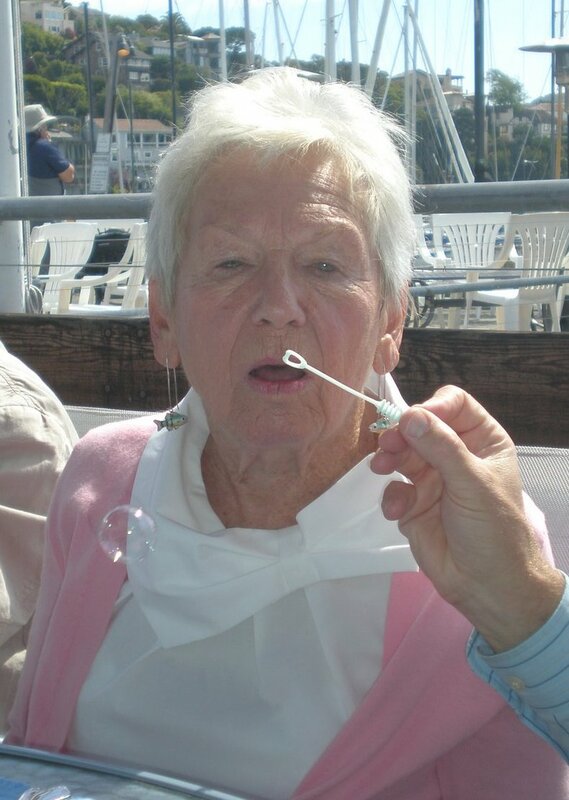 I too am blessed with a young mom but she lately announces her true age, “almost 88” so she’ll get compliments on how ridiculous that is and how wonderful she looks and is. I hope and pray I take after her. You and your mom look adorable. Thank you. My mom is my role model as far as aging goes. Sadly, she’s now been diagnosed with dementia, so we are on new territory here. 😦 I tip my hat to your mom! So, I wish you treasured moments and wonderful time with your mother.